Through high brilliance and a stunning depth of color, StyleLite High Gloss panels in the Doormark Vivid series, are the superior choice for creating stunning, modern interior spaces. StyleLite High Gloss Panels are manufactured to stringent internationally recognized quality standards and will suit any residential or commercial project where a ripple free, easy to maintain high gloss finish is desired. StyleLite High Gloss panels are perfect for all applications where luxury, luster and durability are a necessity. *Please also note that, although every effort is made to photograph our colors accurately, we cannot guarantee every computer monitor will accurately depict the actual color and texture of the merchandise. 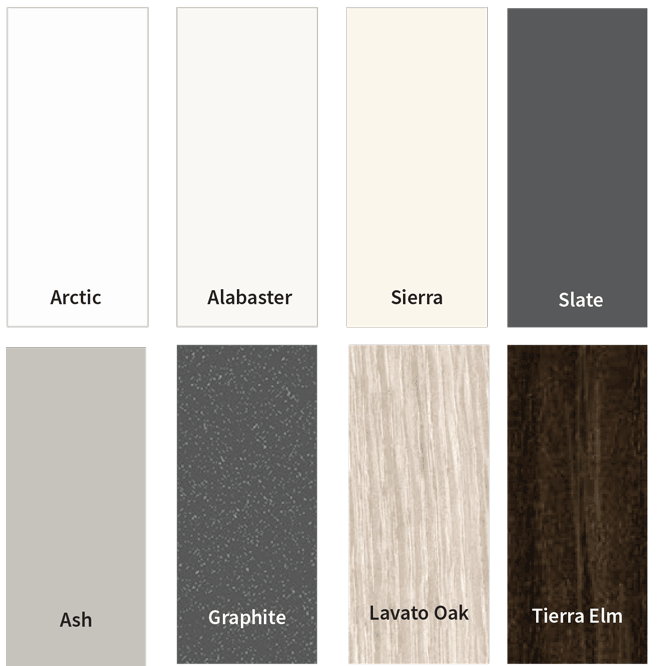 For precise color and texture matching, please refer to the most recent Doormark, Inc. color sample set.